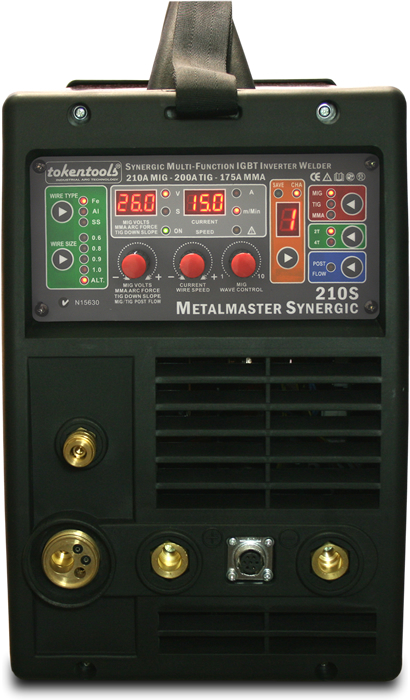 A Synergic Mig Welder, the Tokentools Metalmaster MIG210S is a digital controlled 240 volt Synergic MIG, TIG and MMA ARC welding machine. So what is a Synergic Mig welder and how can you benefit? 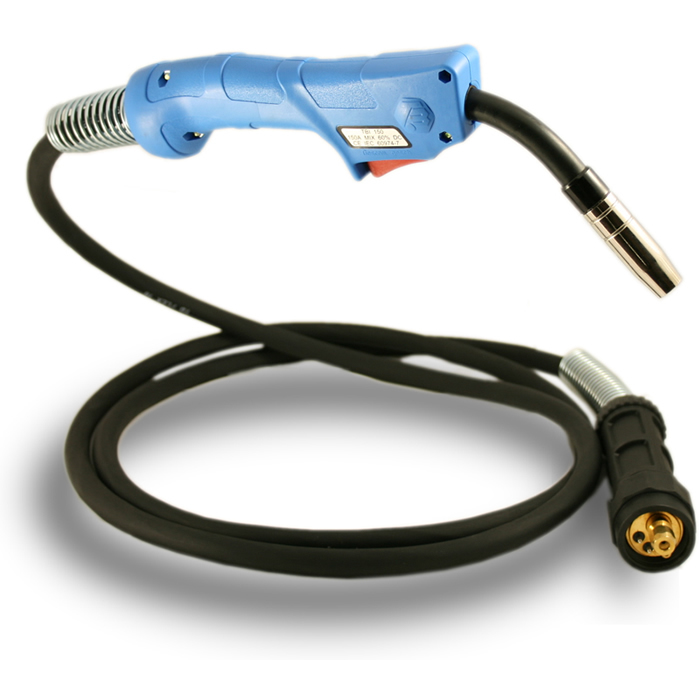 Synergic Mig welding machines provide incremental current pulses which form small droplets of similar sized molten material on the tip of the Welding wire combined with the other specific relationships necessary for stable wire burn off. These droplets detach and fall into the weld pool. 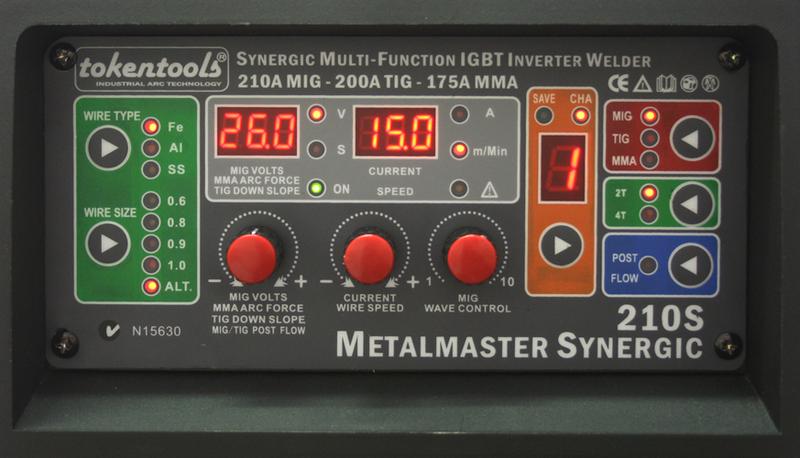 Incremental current pulses are unique to a given material and wire diameter and their details are programmed into the synergic welder control board. In practical terms, this allows an operator to pre-select wire material and diameter once for any welding operation, then adjust the one control that governs wire feed rate. Adjustments made by the operator are then displayed as an amperage setting providing easy interpretation of the amout of energy being supplied to the welding wire. The ‘one knob’ operation synonymous with this type of power source is the principal advantage of such a system compared to conventional non-synergic sets that require independent volts and wire speed settings that cannot be interpreted as amperage without complex calculations. 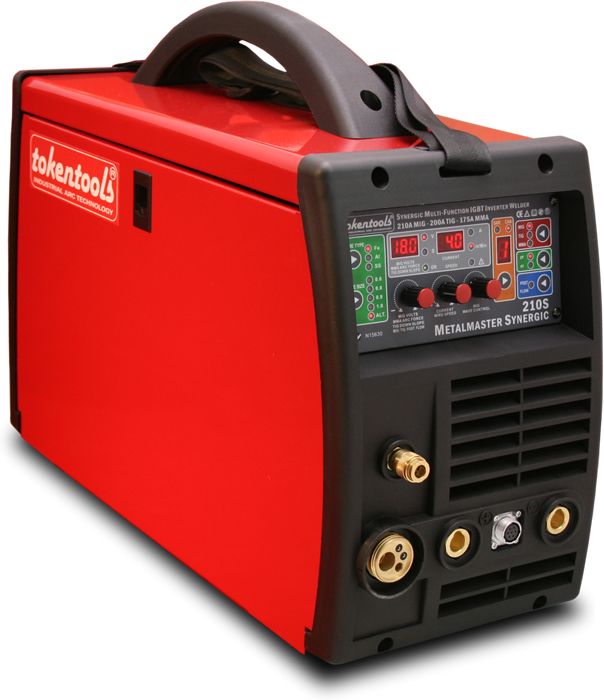 The Metalmaster 210S welding machine features Synergic DC MIG / DC MAG, DC LIFT ARC TIG, DC MMA ARC with reversible polarity for gas and gasless mig wire use. The Metalmaster 210S can bu used for aluminium welding also and has the option to add a Mig welding spool gun if running 0.8/1.0mm aluminium wires. For 1.2mm aluminium wires simply install the optional aluminium feed kit and run them directly from the machine. The aluminium feed kit consists of a XLPE liner and U groove drive roller. Having both a constant voltage (CV) and constant current (CC) power source is made possible by a high efficiency 25 kiloherz IGBT quad core inverter matrix. The wire drive is made of cast aluminium with a metal gearbox. Smooth wire feed is achieved by using pulse width modulated (PWM) controller. 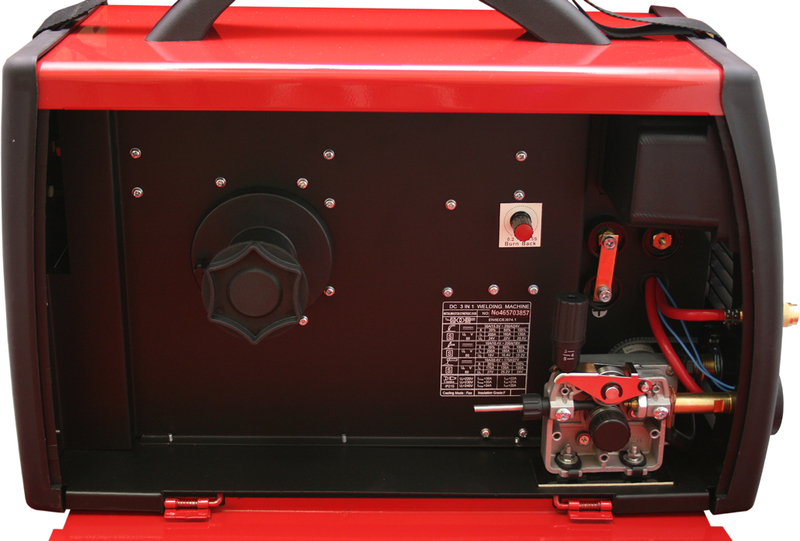 Other notable benefits are the push button mode selections, the ability to save presets into memory, automatic current throttling that cuts in at 210 Amps protecting the machine from overloads, digital volts display, digital amps display, over 120 voltage selections in 0.1 volt increments. 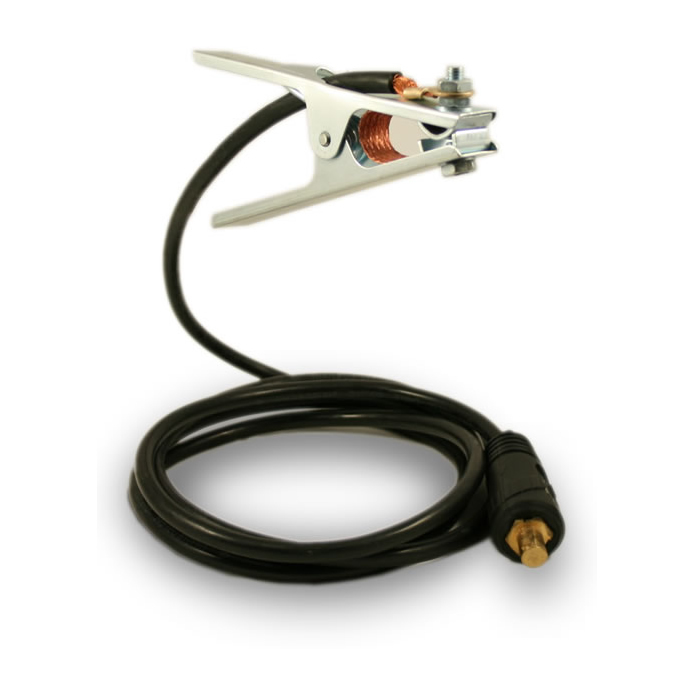 The machine features push button activated wire feed and a twin gas solenoid manifold for automatic control of the shielding gas to MIG or TIG torch. 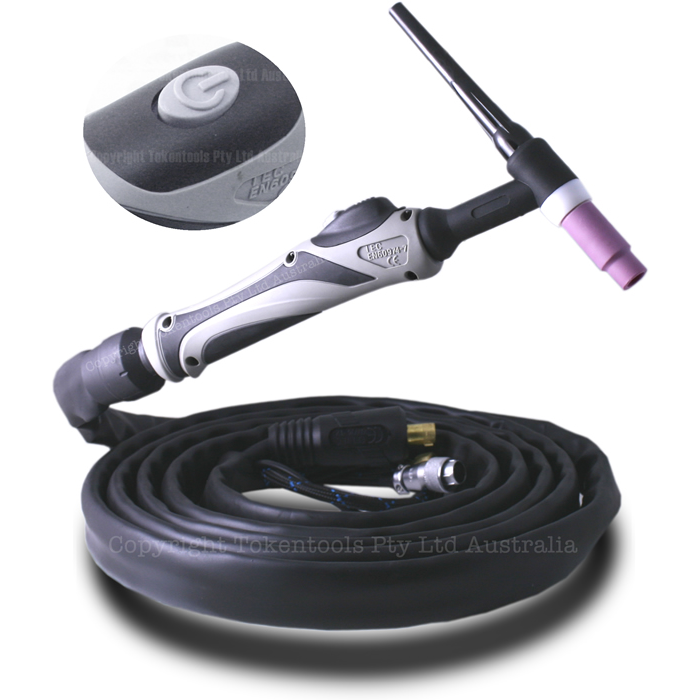 When TIG welding simply connect the included TIG torch and press the push button trigger to activate the power output, you are then ready to perform lift arc TIG welding operations. A large capacity fan ensures years of high duty cycle operation. Controlling the mig welder is quite easy and straight forward via the easy to use control panel and the steel case will provide superior protection against accidental bumps. All IGBT transistors are manufactured by Infineon, chosen for their ability to provide dependable power in the toughest of environments. We believe this machine is the ultimate unit designed for precision MIG MAG TIG and MMAW applications for all weldable materials being offered at a price point that is affordable and a warranty that is market leading. Synergic welder functiuonality allows the operator to set the wire type and diameter after which the welding machine will determine the correct amount of welding voltage, wire speed to apply in order to provide the set welding amperage. This is the method of arc ignition. It consists of pushing the start button on the torch to enable an automatic arc strike. The current waveform is either AC or DC. 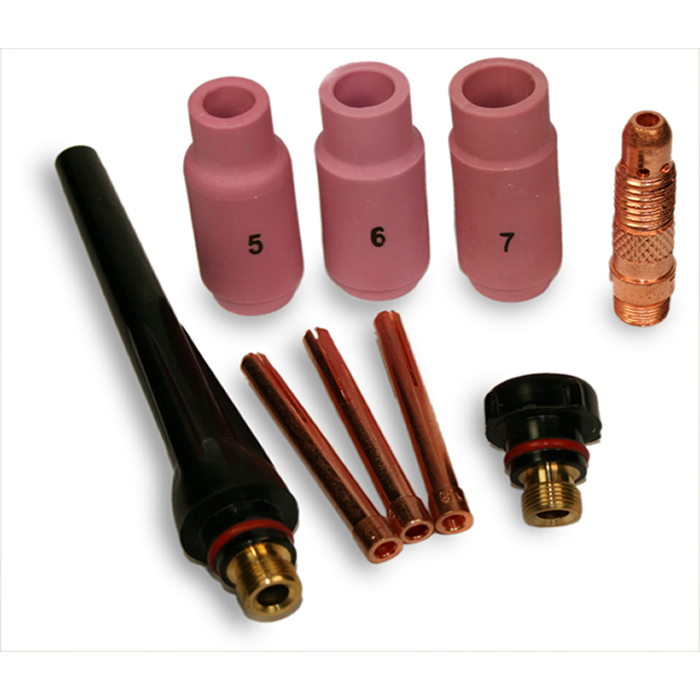 DC is preffered as it is delivers constant welding power to the electrode and provides ease of start when using cold electrodes. This product manual is provided in a low resolution format for easy internet download and viewing, the file size is 12 Megabytes, click on the image above to begin the download process. A colour printed manual is provided with the welding machine also. This welding machine includes a 5 year (60) month warranty against manufacturing faults and defects however the customer has the ability to reduce the warranty period in order to obtain a greater discount. In circumstances where the customer elects to take a 2 Year or 1 Year warranty the 5 Year warranty will no longer apply and instead the selected warranty period along with applicable discount will apply and such direction will be noted on the sales invoice. 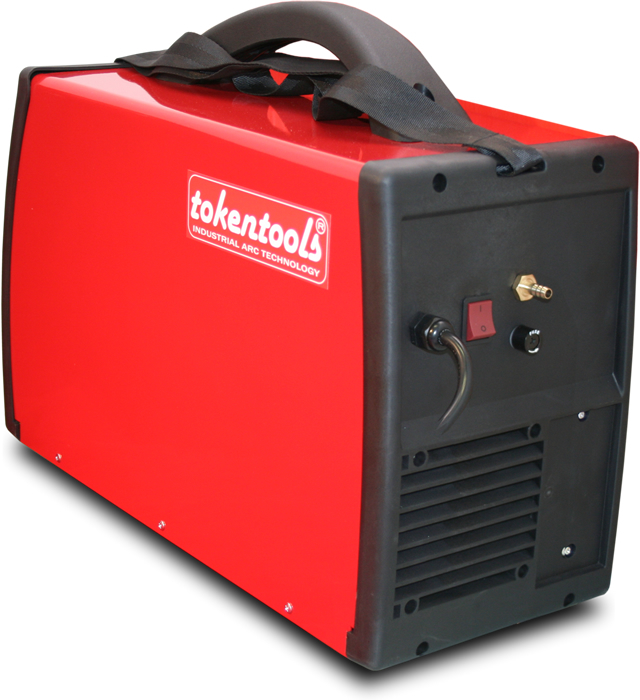 All welders for sale by Tokentools.com.au are covered by Consumer Guarantees that cannot be excluded under the Australian Consumer Law. You are entitled to return any item that is deemed faulty within a reasonable timeframe from the date the sale agreement took place. If an item has a minor defect, we will provide a repair or offer you a replacement or a refund. If an item is found to have a major manufacturing defect, you are entitled to receive an identical replacement or one of similar value, receive a refund or keep the goods and receive compensation for any other reasonable foreseeable loss or damage. For more information about your rights as a consumer, see the Australian Consumer Law website. Our products are typically despatched from our warehouse on the same day if payment is made before 2PM. 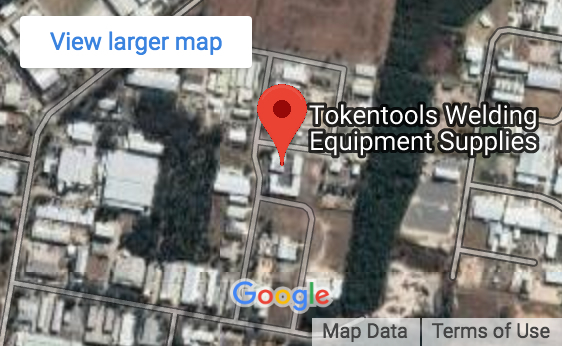 This welding supply is also available for pickup from our showroom located at Unit 6, 9-11 Willow Tree Rd Wyong NSW 2259 during opening hours. See the pickups information for more details. img alt="Clicky" width="1" height="1" src="//in.getclicky.com/100715459ns.gif"
I thought I would take a chance with Token tools after reading many positive reviews, even though I couldn't see one up close in a store. The ver the phone service and next day delivery was excellent with everything well packed for transit. Setting up was very straight forward with clear instructions which were worthwhile reading as this thing has a ton of buttons and settings. I've only run it for a couple of days and everything has worked well so far. Using it in Synergic mode is a breeze although a few minor tweaks were made to the settings to suit the job which is to be expected. Overall I'm very happy with the machine, it produced good clean and consistent welds and and has handled all the jobs I've used it for easily. Bang for buck compared to the big name units you can't go wrong. I bought this welder, and was very impressed with it's out of the box to welding use. Easy to use digital interface . Great welds, got down to 0.6mm sheet metal , I was keen to test it before welding on my 69 Camaro project . Highly recommend this welder. Love it!! delivery second to none! 1 day dudes. So far so great!!! 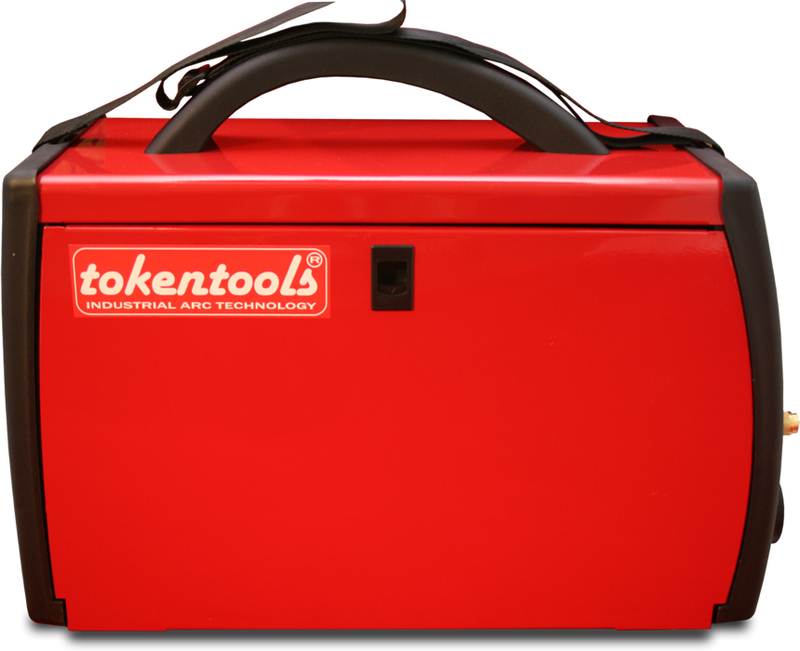 I was very skeptical prior to buying, there wasn't much info about these multiprocess machines, or tokentools, or what at the time was a fairly new lower cost welding market. Pete was very helpful and quick to respond, and was honest about the limitations of the machine. The MIG has proved to be as good as any I've used, once of course the settings are dialed in. The "Synergic" function I haven't used a whole lot of, only when I'm being lazy on non-critical jobs. Seems to do the job. I've done some heavy duty welds on 15mm mild steel without overloading the machine. Only (minor) annoyance is that the machine only takes (by default) 5kg spools. The TIG has proved adequate for Stainless not requiring a show quality finish, provided it's not below 1.2mm. That is likely as much due to my lack of skill as it is the welder, but it seems unwilling to spark at a current low enough to not burn through. It has been perfect for welding up various exhaust components as well as kitchen items for work. I really wish it had remote current control though, this is the only reason my rating is "Very Good" not "Excellent". Stick I've never used. I imagine it's as good as the MIG. After 2.5 years of what I would estimate as fairly heavy usage, the machine is still going strong. I have had to replace only the expected consumables and made a slight change to the gas line (a quick connect would be ideal). Overall, very happy customer, and glad I took the chance with Pete instead of an overpriced brand name. I got my mig about 18 months ago and love it. I was on the site looking at consumables and thought would let you know I am a happy customer.